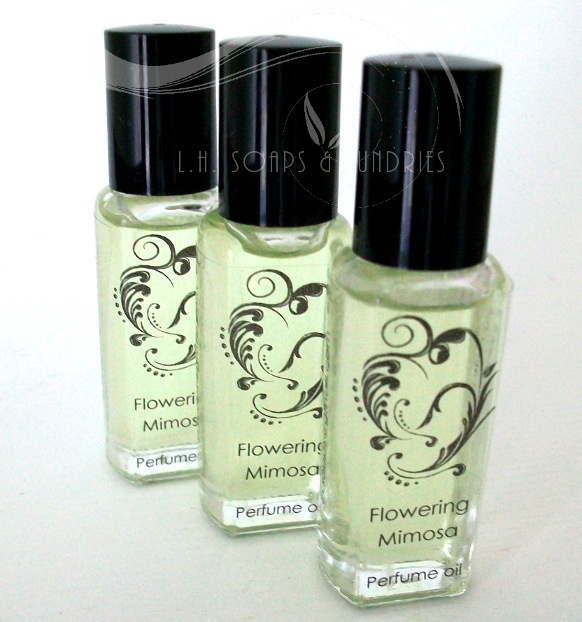 Here is your chance to get a quality natural fragrance for a fraction of the cost of typical, chemical-laden perfumes. Made with pure, non greasy fractionated Coconut oil and concentrated fragrance. Due to the concentration of the perfume, a little goes a very long way! Guaranteed to last a long time-and it's paraben free. Just roll on to pulse points and enjoy all day long. Amber Romance: A deep, feminine blend of cherry, sandalwood, musk, vanilla, and jasmine. Angel: A rich blend of jasmine, patchouli, and brown sugar. Berry Vanilla: A blend of bright berries, sugar, vanilla cream, and buttermilk musk. Calypso: a juicy blend of mango, white peach, and tropical mango. Honey: a rich honey fragrance with a small hint of wildflowers. Marilyn Monroe: a deep floral blend of ylang ylang, neroli, rose, jasmine, sandalwood, and vanilla. Pink Sugar: A feminine fragrance of sugar, cotton candy, vanilla, musk and light floral. Vanilla Bean: A rich, sweet vanilla straight from the bean. Vanilla Ylang-Ylang: a very soft, enticing blend of sweet vanilla and exotic ylang ylang.